Disclaimer: The product was redeemed for free from SF Beauty. The review is written based on personal opinion and experience. 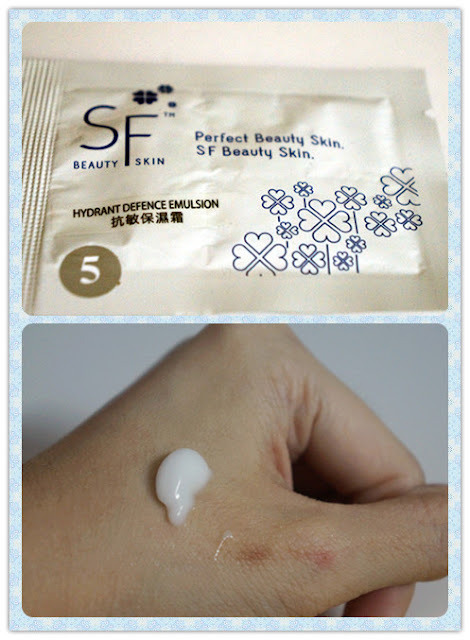 SF Beauty is new in Malaysia and it is a supreme skincare brand that is specially developed in France and manufactured in Taiwan. 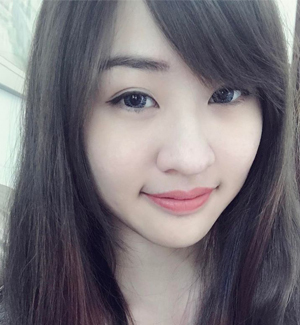 As some of you might want to know, Taiwan and France are beauty conscious heavens. I randomly came across with the free sample services on Facebook and yeah, cheapskate like me confirm apply for the free sample kit right away. 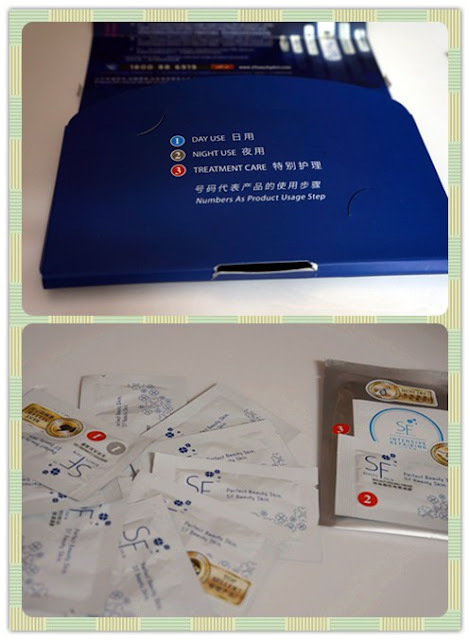 The free sample kit reached to me on the very next day and got a call from a beauty consultant, Yuki on how to use the products. Yuki is kind enough to explain everything on the sample kit. One special thing about SF Beauty is, they offer after sales services. I find myself love it so much because you know lar, where to find such a good after sales service in KL one? If you are wondering why do you need a beauty consultant to explain on the usage, that ia because of the colors and numbers below. Personally, I wouldn't like to use this. I'm still prefer liquid-based makeup remover. I love the smell. The texture is the smoothest among of all my cleansers. It is also one of the cleansers which gives me a refreshing feelings after I uses it. It acts as a toner to moisturize and keep my skin's oil-moisture level balanced. Maybe I fell in love with the spray toner so I don't really like it to be in watery form. It does it wonders by minimizing my pores. With minimum amount, it covers pretty much of my T-zone area. 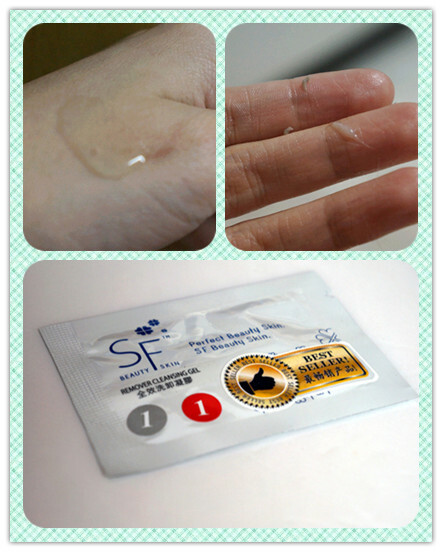 It also helps to prevent the formation of oily face. It helps to moisturize my skin and penetrate deep into the depth of the skin to cover the dryness of the skin. 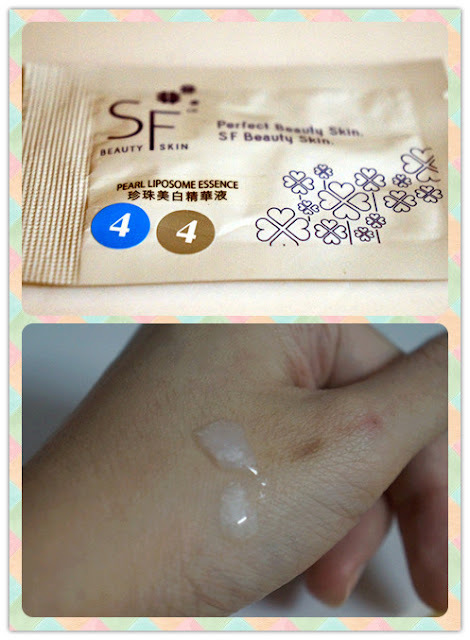 It has thick pearl-look-alike texture to lighten the scars on the face. I'm still using it till now and my scars did look lighter than before. According to the beauty consultant, this moisturizer is meant to soothe the sensitive skin. My skin tend to have redness whenever the weather is hot. With Hydrant Defense Emulsion, it helps to prevent my skin to have redness as frequent as I had last time. It is also best for those who sleep in air-conditioned room. The name says it all, Moisture Gel is meant to moisture the skin and give a radiance look on the skin. It can helps the skin to stay fresh and moisture for those who work in air-conditioned office at all times. This is my favourite of all! I love how it enhances my skin tone with the color shade. 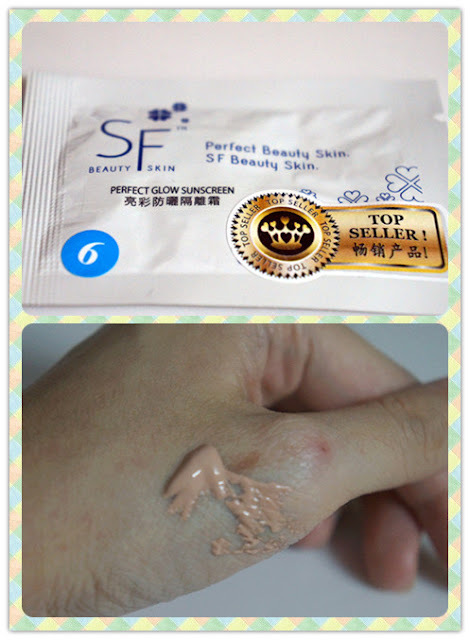 It has the BB cream look-alike color but has lighter texture than BB cream. It also acts a a sunblock to reflects the UV lights. To be frank, I love this because of its waterproof and sweat-proof features. Though it doesn't cover completely on the imperfections, it does a very good job on enhances the skin tone and avoid the skin to look dull. This is the best mask I ever had in my life (so far). I'm not sure some of you face this problem but for me, some masks did not "stick" onto the face after some time. 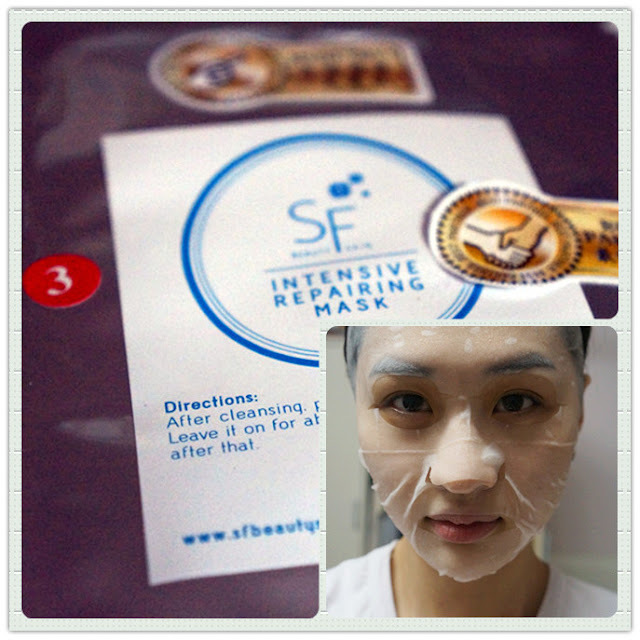 However, Intensive Repairing Mask was the first mask that stayed on my skin and did not fall when I was standing for the entire 15 minutes. 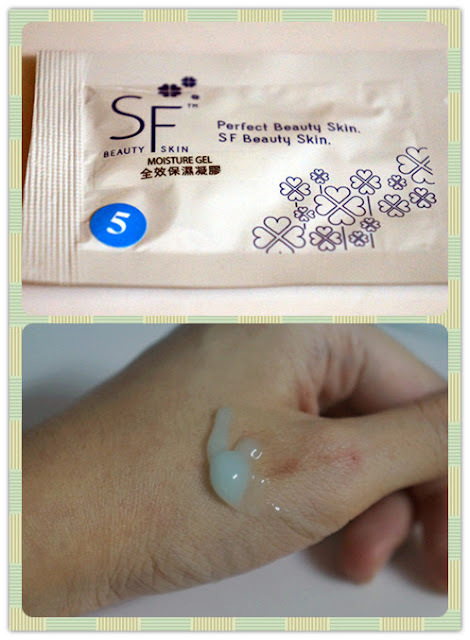 It helped to brighten my skin tone and moisturize the skin. Here is a comparison of my skin condition. I know the lighting is different but you can focus more on the dark spots. 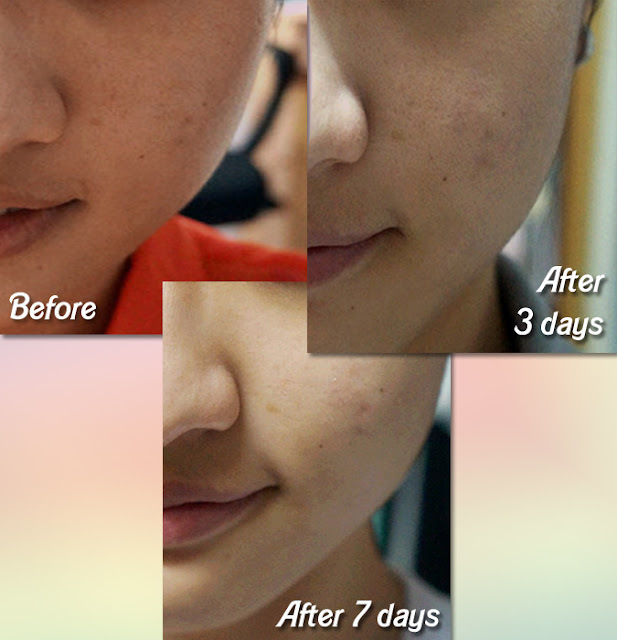 The dark spots seems to be clearer now, the pores are getting smaller too. Best of all, my blackheads are all gone, except for some hair on my nose. AMAZING LEH? I rarely can get skin care products which give such immediate effects one leh. Nah, don't say I keep all the good things to myself. To redeem FREE sample kit, simply log onto the link below and fill up your details. Ah ping a. Whats in your mind a? yai yai a.
I get the samples also, used few days then put aside already. Didnt try the mask yet but seems good wo. Did you purchase ah? heehee. And the products are awesome too! Wah.. banyak difference in 7 days! GGOGOGO. Go apply and use them! Woww.. its has a really significant different !